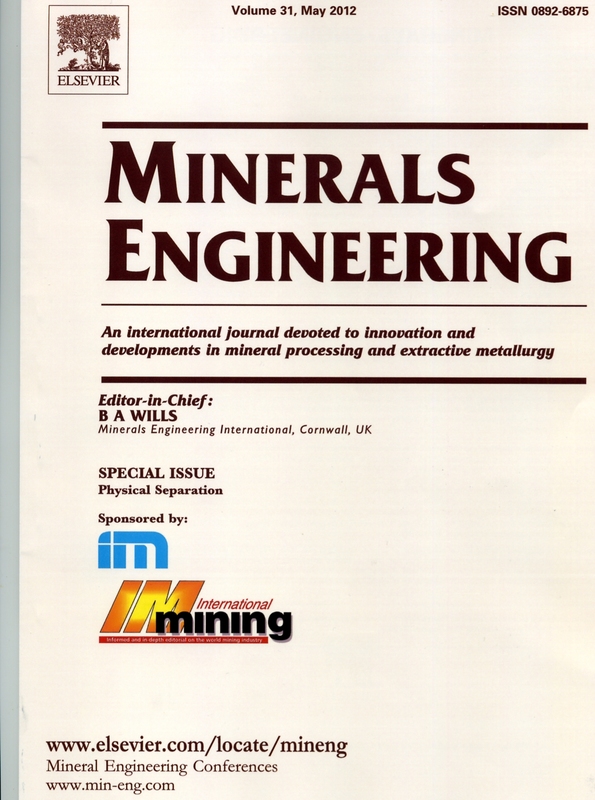 Ten of the papers presented at last June’s Physical Separation ’11 conference in Falmouth, UK, have now been published in Volume 31 of Minerals Engineering, and the papers are available for downloading from ScienceDirect. 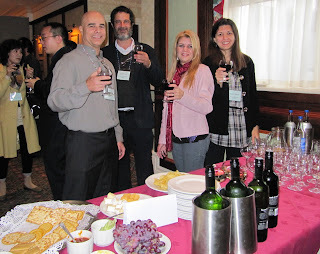 The conference proceedings, containing unrefereed papers, is available on CD. 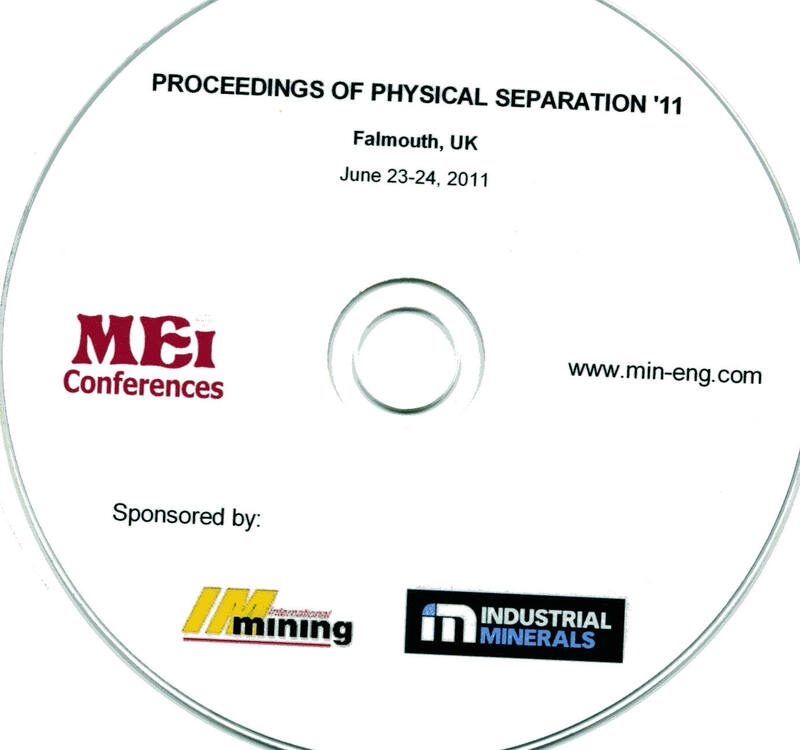 The next conference, Physical Separation ‘13, will be held in Falmouth in June 2013, immediately following Computational Modelling ’13, and again will provide speakers with the opportunity of presenting their work to an elite international audience, as well as having the opportunity of publishing the work in the world's leading mineral processing peer-reviewed journal. Is the text-book obsolete as a source of reference? 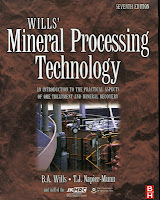 I ask this question as Elsevier are keen to produce an 8th edition of Mineral Processing Technology (MPT) and I have my doubts as to whether this is a good idea or not. The 7th edition was an update on the 6th, and was admirably edited by Prof. Tim Napier-Munn and his staff at the JKMRC in Australia. It was a complete revision, not only of the references, but also of the content, highlighting new equipment such as stirred mills and very large flotation machines. But a new edition of this begs the question- what is the role of the text-book in this age of Google, Wikipedia etc. Should a text-book be revised merely to bring the references up to date? 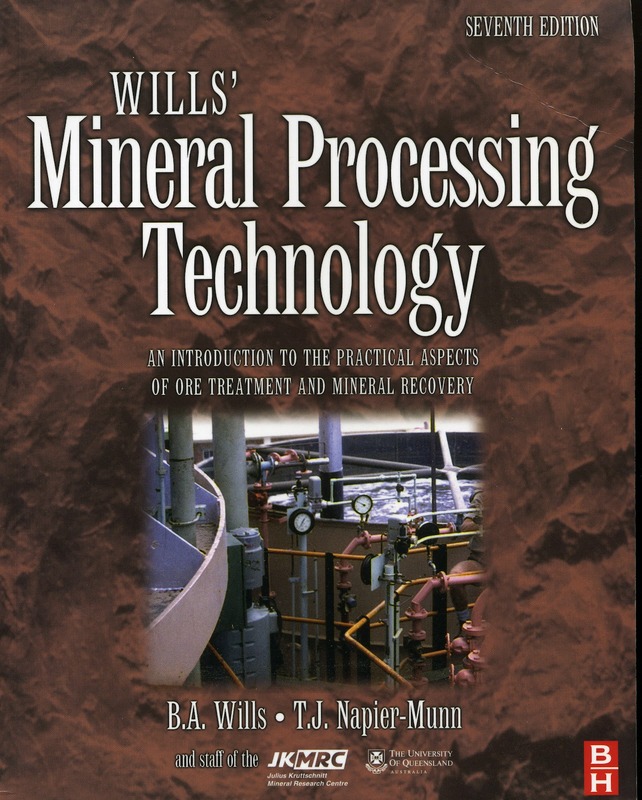 My feeling is that the primary role of MPT is to provide students of minerals engineering and associated disciplines, as well as practitioners in these areas, with an overview of the fundamentals of mineral processing, rather than to be used as a source of reference. For instance, Froth Flotation is the largest chapter in the book, and nearly 10% of the page space is taken up with the reference list. I feel fairly confident that anyone wishing to learn about the principles of flotation, its uses, the machines, reagents and circuits would be well advised to start with the book, as a Google search of Froth Flotation identifies a bewildering 311,000 references, including an unsatisfactory Wikipedia review. However for anyone wishing to learn more about a specific reagent or machine, then Google would probably be used to provide references much more current than those found in the book’s reference list. So times have changed, and so has the role of text-books. 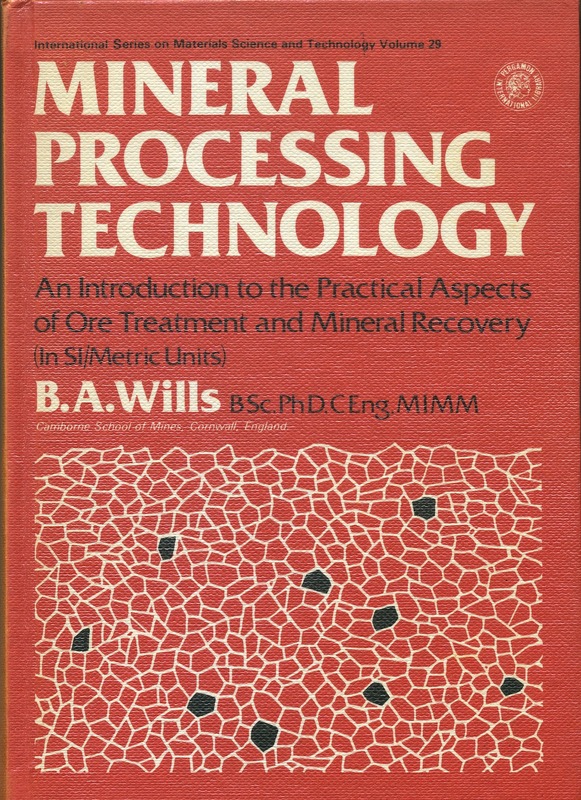 The 1st edition of MPT was published in 1979, but still provides a good introduction to the fundamentals of mineral processing. Successive editions did introduce new machines and processes and the increasing use of computers, but their main role was to update the lists of references. I wonder if this is necessary any more? 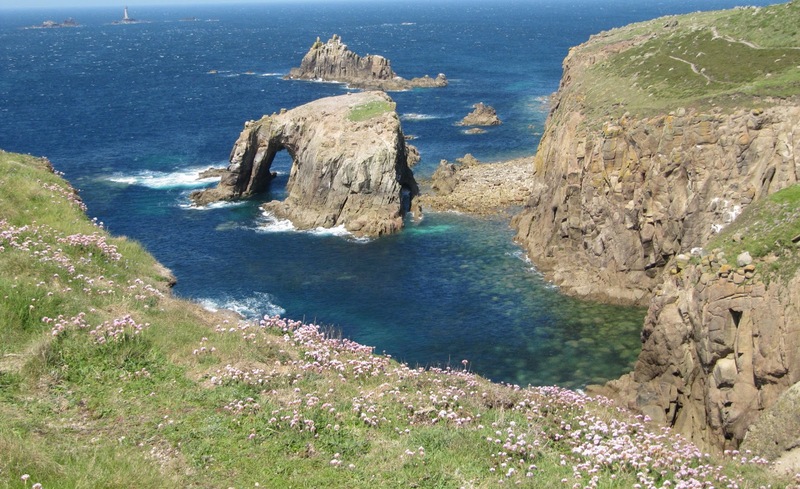 Delegates choosing to stay on and explore Cornwall after a Falmouth MEI Conference usually have Land's End at the top of their 'must-see' lists. And with good reason; only a 32-mile drive from Falmouth, the road also passes the much-photographed St. Michael's Mount at Marazion, and Land's End itself presents some of the most beautiful cliff scenery on the whole of the 630 mile South-West Way. Land's End in recent years has become a bit of a theme park, but pass through the many exhibitions and displays down to the dramatic granite cliffs and you are at the very tip of England. Apart from the nearby Isles of Scilly, the next stop is America! 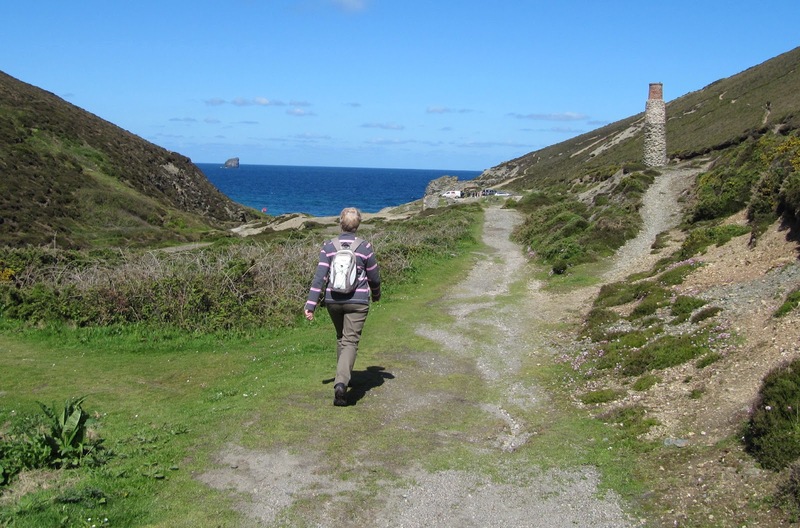 Turn right and you are on Cornwall's North Coast, and the path to beautiful Sennen Cove and then to the 'tin coast', lined with ruined engine houses from a bygone era. Today we turned left and headed up the South Coast and a wonderful three and a half mile, moderately easy walk to Gwennap Head. Those who would prefer a shorter hike would be recommended to take the easy 2 mile walk to Mill Bay, and picnic on the lovely beach. Much has been said and written in recent years about the difficulty of recruiting young people into the minerals industry. While this may be true, and that quantity may be a problem, the quality of young metallurgists and researchers graduating into the industry has improved markedly and is a cause for optimism for the future. Little over a decade ago many post-graduate students presenting their work at international conferences lacked confidence and looked to their supervisors to respond to difficult questions from the audience. Now, however, there is an authority to their presentations, and the manner of their handling of discussions shows a real depth of knowledge of their work. Another thing I notice is that there are very few 'wallflowers' these days, standing shyly on their own clutching their coffee cups. Young people now have the confidence to seek out experienced workers in their field and make valuable future contacts. So maybe we shouldn't worry too much about the lack of quantity and rejoice more at the motivation of those young people who do decide that mineral processing is the career for them. "It is with great sadness that I forward to you the news of the passing of our dear colleague Jacques Astier who passed away yesterday, 20 May 2012. Jacques Astier was the President of the Council from 1968 - 1985. Congresses held during Jacques' tenure as President were those at Leningrad, Prague, London, Cagliari, Sao Paolo, Warsaw, Toronto and Cannes. As you know, in 2010 Jacques was a most worthy recipient of the IMPC Distinguished Service Award in recognition of his enormous contributions to minerals processing. On behalf of the international Minerals Processing community I wish to convey to Madame Astier and her family our deepest sympathy at this time. We also celebrate the wonderful contribution which Jacques made to the world of Minerals Processing during his life. We mourn the passing of a great man and, more importantly, a wonderfully warm and kind friend." Jacques Astier graduated in 1948 from L´École Centrale in Paris, one of the most famous of the Grande’s Écoles in France. He was a director at L´Institut de Recherche de la Sidérurgie Française, IRSID. From 1988 he was an independent consultant to corporations and institutions in metallurgy, iron ore and techno-economic matters. He also served as elected administrator (Administreur élu) of La Société de L´Industrie Minérale, SIM from 1983 to 1989 . He was the president of the section for mineral processing ( La section de valorisation) of SIM for the period 1963 to 1968 and then became honorary president of the section. He received the section medal in 2002. He has also been Professor at L´Ecole Nationale Supérieur des Mines de Paris, another of the famous Grandes Écoles of France. Seated is Prof. Astier, with Profs. Eric Forssberg (Chairman, Stockholm, 1988, and IMPC President 1988-2006), Heinz Hoberg (Chairman, Aachen, 1997), Douglas Fuerstenau (Lifetime Achievement Award, 1995), P. Somasundaran, Cyril O’Connor (Chairman, Cape Town, 2003, and IMPC President since 2008), Wang Dianzuo (Chairman, Beijing, 2008), Janusz Laskowski (Chairman, Warsaw, 1979, and Lifetime Achievement Award, 2008), Robin Batterham (Chairman, Sydney, 1993), Guven Onal (Chairman, Istanbul, 2006). I invite all of you who knew or met Prof. Astier to submit your appreciations of his life and work below. One of the most actively debated postings on the blog has been the question that I asked 14 months ago- Peer-review. Is it outdated? The overwhelming majority of the 46 comments were in favour of peer-review, despite its faults, but the most recent one, from Stephen Gay, of StephenLGay, Australia, expressed very serious concerns which I feel should be more widely debated. It is OK if you are using conventional approaches, but if your methods are new - particularly using advanced mathematics - it is almost impossible to get a fair review. Further, the editors tend to directly send your papers to your competitors. When it is obvious that the reviewer is incompetent the Editor tends to do nothing. That is the process is more important than the outcome. At this stage I generally don't bother sending papers to journals, as the 'leading academics' are so far intellectually behind it is impossible for them to understand simple concepts. I had to take issue with Stephen on this. I acknowledge that the peer-review system certainly does have its faults but it is not a shambles. It was obvious to me that Stephen had had some bad experiences with journals, but I think many academics might find it a little insulting to be regarded intellectually inferior and incapable of reviewing innovative work using advanced mathematics. I also had to disagree with his generalisations on Editors! Nevertheless I thank Stephen for his opinion and for bringing this important aspect of peer-review into the open, hopefully leading to further debate. What do you think, and have any of you had bad experiences in this respect? 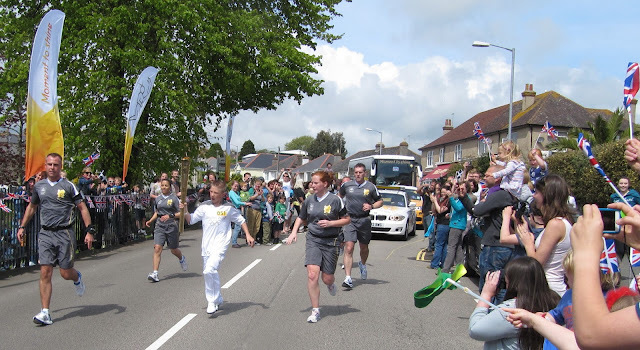 Large crowds lined the streets of Falmouth today to witness the historic passage of the Olympic Flame through the town. The Flame arrived in Cornwall from Athens yesterday evening, and the torch relay commenced at Land's End this morning, the start of its epic 12,875 km (8000 miles), 70 day journey around Britain. The torch will eventually arrive at Olympic Park on July 27th, when it will light the cauldron at the opening ceremony. On the first day of Biohydromet '12 (June 18th) the torch will be in the far north-east of England, travelling between Middlesbrough and Hull. Edited by Courtney A. Young and Gerald H. Luttrell, published by Society for Mining, Metallurgy, and Exploration, US$ 139 [discount for members and students]. 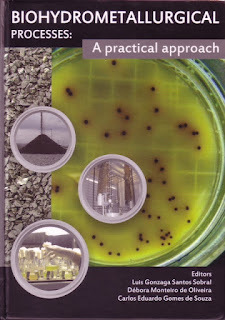 The book is exceptionally well produced and most of the papers written by well known names. In summary the book is very impressive with 11-page subject index. The editors Courtney A. Young and Gerald H. Luttrell were former students of Professor Yoon. Young is now with Montana Tech and Luttrell with Virginia Tech. Professor Yoon’s career is very inspiring. He was born in 1943 in Seoul where he attended Seoul National University. After leaving his home in Korea he started his graduate studies in 1968 at McGill University in Montreal under Professor Talat Salman (1918-1979), then worked at Canada Centre for Mineral and Energy Technology before joining Virginia Tech. There he formed a strong research group where he successfully advised 32 doctoral students and 34 Master of Science degree students. 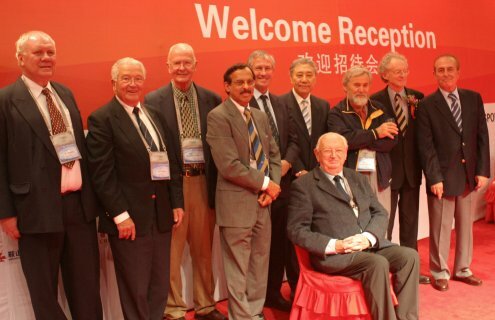 He worked closely with 18 post-doctoral fellows and a large number of visiting scholars. Best wishes for Professor Yoon and sincere congratulations to the editors. In MEI's early days, delegates from China were few. Those that did venture west tended to be mature, male and of professorial status. Their English was poor, and many did not make the effort to interact with other delegates - to be honest, they were hard work. How times have changed. The number of Chinese delegates attending MEI Conferences has been steadily increasing. 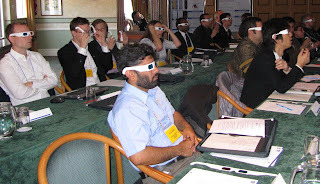 There were nine at Comminution '12 and already we have 13 registered for Biohydromet '12 next month in Falmouth. What is encouraging, however, is how young and vibrant these people are, and the number of females who are attending. They are a pleasure to work with and they are keen to network with western delegates. They have fresh ideas and both east and west can benefit from this interaction. ﻿﻿ The Chinese are making great efforts to master the English language and this is apparent not only at conferences, but also in papers submitted to Minerals Engineering, where only a few years ago virtually all papers had to be returned for English improvement. Long may this invasion continue. 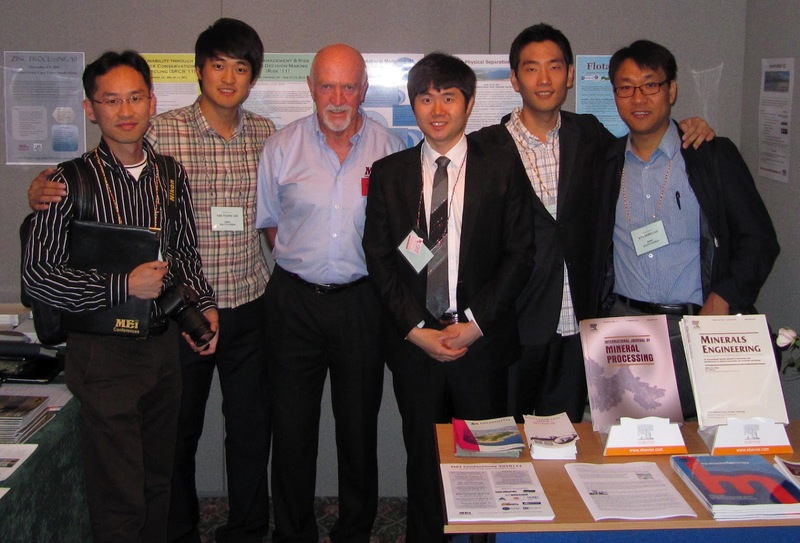 It is great to forge these links between east and west, and let's not forget the young metallurgists from the Republic of Korea, who are also attending international conferences in increasing numbers. 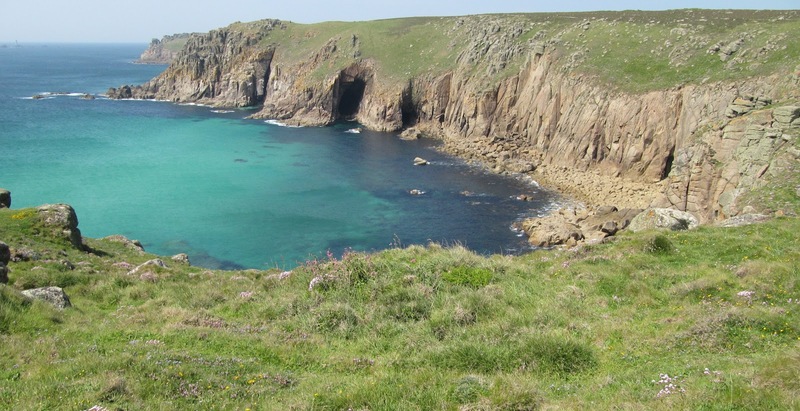 A short drive from Falmouth to Cornwall’s north coast takes you to the picturesque village of St. Agnes. St Agnes and the surrounding area relied on fishing, farming, and mining for copper and tin. Mining came to an end in the 1920s but at its most active around 100 mines employed about 1000 miners. Ruined engine houses abound on this rugged coastline, and today we walked from the village down to the beautiful Trevaunance Cove and then the short but arduous section of the coastpath east towards Perranporth and to the Jericho Valley. Evidence of old mining activity is everywhere, ruined engine houses and old spoil heaps, and at the end of the Jericho Valley, about one mile north east of St. Agnes lies the Blue Hills Mine. This mine dates from the early eighteenth century and closed around 1780 due to the excessive cost of dewatering the workings. It was restarted under the name East Polberro in 1813 and became Blue Hills in 1836. Blue Hills was mainly a tin mine employing on average between 50 and 150 workers in its lifetime. There are no records of any copper ore being present. The mine was abandoned in 1897. An attempt to rework the mine in 1926 came to nothing. Further up the Jericho Valley lies Blue Hills Tin, run since 1975 by the Wills family (no relation! ), and currently the only tin producer in Cornwall. Definitely worth a visit to see alluvial tin being produced by streaming, stamp milling, and gravity concentration by buddles and shaking tables. The concentrate is smelted on site and around 230 kg of tin are produced each year to be made into fine jewellery which is on sale in the mine shop. Biohydrometallurgical Processes: A practical approach, edited by Luís Gonzaga Santos Sobral, Débora Monteiro de Oliveira, Carlos Eduardo Gomes de Souza, 308 pages 18 x 25.5 cm, hard cover, ISBN 978-85-61121-85-3, published by Centre for Mineral Technology (CETEM) in Rio de Janiero, Brazil. The first two articles cover the mechanism of action of microorganisms on minerals while the remaining articles discuss technical applications. The editors are with the Centre for Mineral Technology in Rio de Janiero [a Brazilian Government organization]. the authors are mainly from Brazil with few from Spain, Chile, Argentina, Cuba, US, and Australia. The book is dedicated to the memory of Oswaldo Garcia Junior, former Professor at the São Paulo State University in Brazil who was a leader in biohydrometallurgy in the country. The book is printed on high quality paper, well edited, and well produced. However, an index is missing. It is certainly an excellent addition to the Library. Sincere congratulations to the editors and authors for a well done job. A welcome visitor to the final wine function at Comminution '12 was Prof. Cyril O'Connor, chairman of the International Mineral Processing Council, pictured left with Craig Brown of JKMRC and Aubrey Mainza of UCT. Cyril travels widely and I was pleased to hear him say that the word all over the world is that MEI Conferences are the ones not to miss. It looks like the other event to be at this year is September's IMPC in New Delhi. Cyril was very enthusiastic about how things are going in preparation for this, which has already received a record number of international abstracts, and has the potential for a record turnout. The IMPCs are the great meeting places for mineral processors of every discipline, but after the mediocrity of Rome many thought that their days were numbered. However they bounced back with a vengeance in 2003 in Cape Town under Cyril's chairmanship and heralded in what I call the modern era of IMPCs, where conference dinners and social events were fun to be at, allowing delegates to relax and get to know each other. Prior to that they had, with a few exceptions, been formal boring affairs with interminable speeches by local dignitaries. After the recent spectacular IMPC dinners the organisers of the New Delhi IMPC have a great challenge ahead, but Cyril feels that they are well up to it. So book your flights to India for September. I am looking forward to reporting on the IMPC and will be representing MEI with Amanda and Jon. Arrange your visa early though, as this can be quite complex and expensive! The fire that destroyed the Falmouth Beach Resort Hotel on Monday brought to an end 13 years of MEI Conferences at this lovely venue, starting with Minerals Engineering ’99. We have fond memories of all the people that we met there and the good times that we had. Hopefully the hotel will soon rise again from the ashes, but in the meantime the next Falmouth conference, Biohydromet ’12, will be held at the adjacent Hotel St. Michaels. 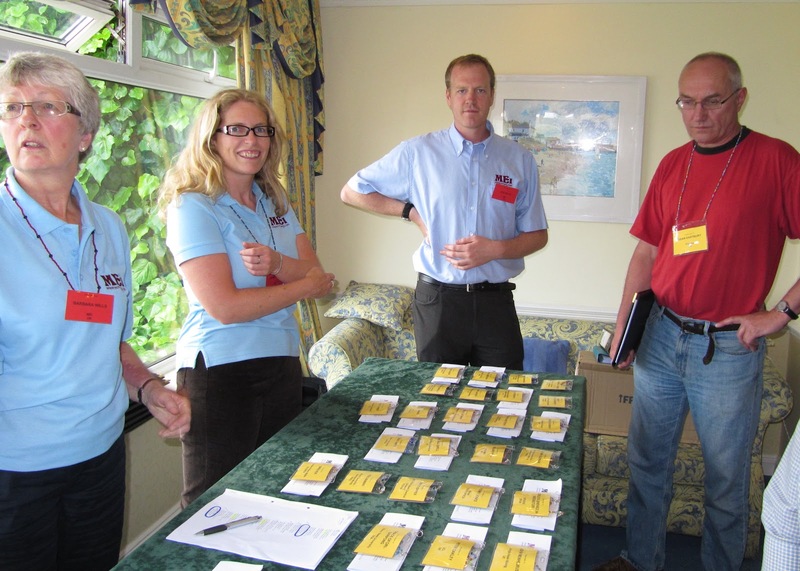 Below are a few memories of conferences at the ‘FalBeach’. 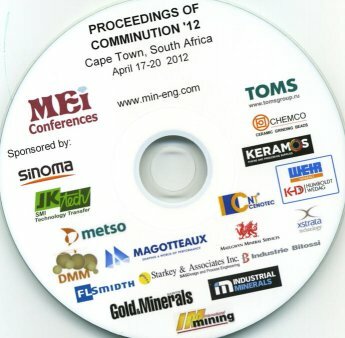 The Proceedings of Comminution ’12, held last month in Cape Town, is now available from MEI. The deadline for submission of MEI Conferences proceedings papers is relatively close to the conference compared to many other major events, as we like papers to be as current as possible, but it is disappointing that so many Comminution '12 authors chose not to submit their papers after the final deadline. As a result of this, although 72 papers were presented at the conference, only 47 appear in the Proceedings. We are currently looking at ways to provide a strong incentive for paper submission, but if anyone has any suggestions we would like to hear from you. 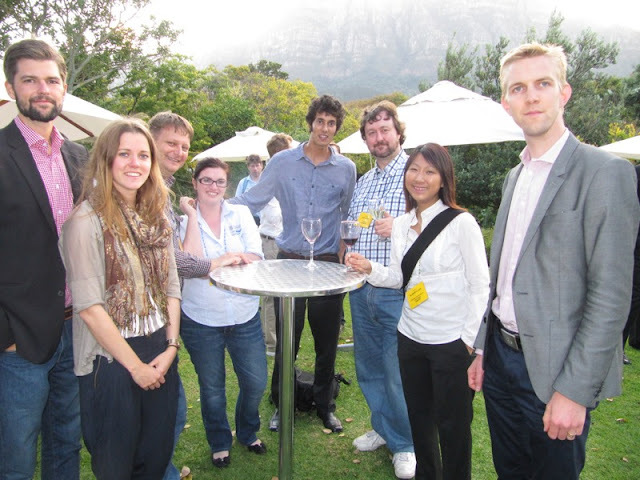 The 9th International Comminution Conference will be held in Cape Town again from April 7-10. 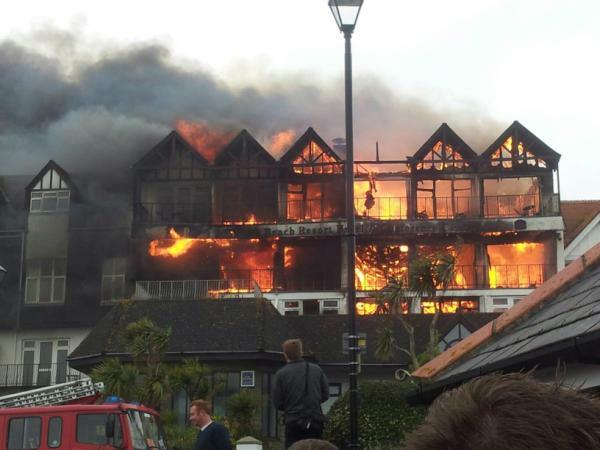 A devastating fire has gutted the Falmouth Beach Hotel, the venue for MEI's Falmouth-based conferences. These photos were taken yesterday at the height of the fire, which was fanned by extremely strong winds. More details can be found on the BBC News site. We are only seven weeks away from Biohydromet '12, but we assure everyone who has already registered, or who intends to register, that the conference will go ahead as planned, but at an alternative nearby venue in Falmouth. Full details will be announced as soon as available on the conference website. If, of course, you have booked accommodation at the Falmouth Beach Hotel, you will need to seek alternative accommodation. As to next year's Falmouth events, SRCR '13, Physical Separation '13 and Computational Modelling '13, all we can say at this stage is that they will go ahead, and we will announce where as soon as we can arrange a venue.